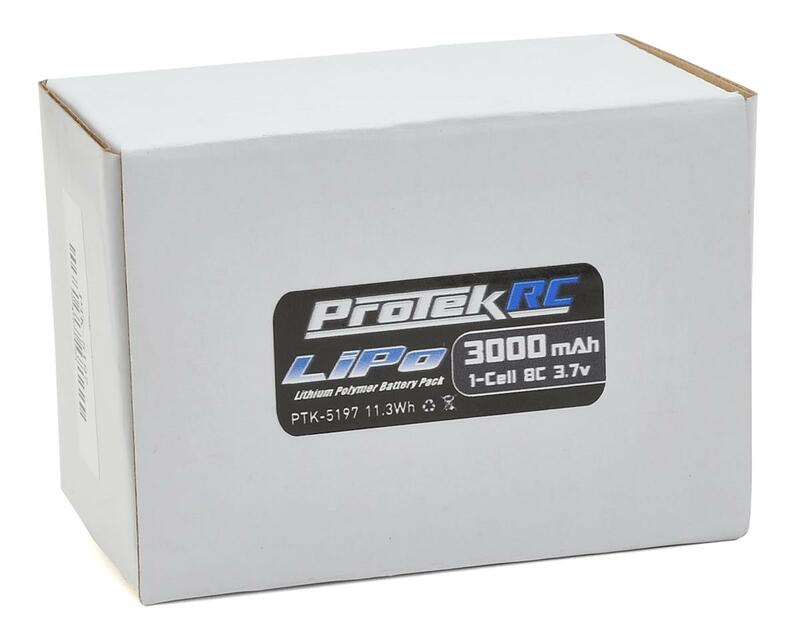 This ProTek R/C 1S 3000mAh LiPo transmitter pack was developed specifically for the Airtronics/Sanwa M17, MT-44 and Futaba 4PM transmitters. 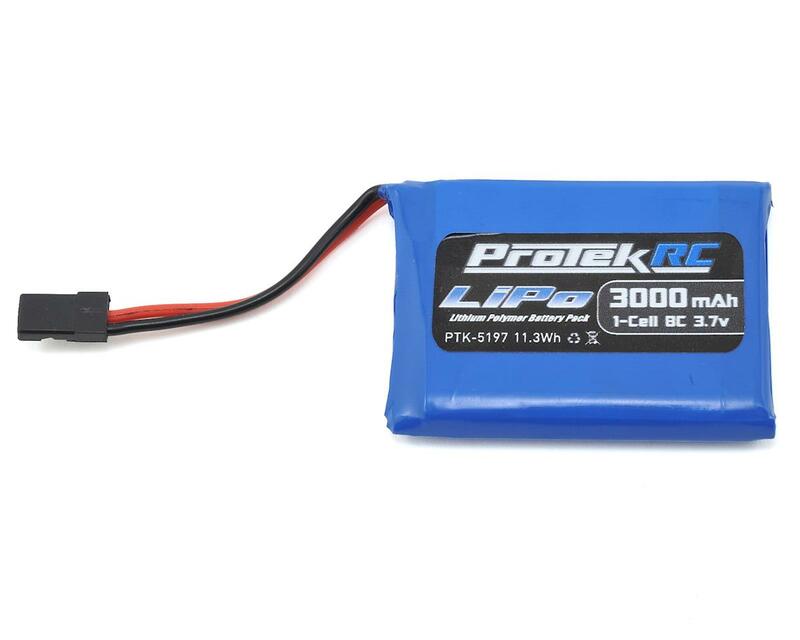 This light weight LiPo battery will help to reduce the overall weight of your transmitter, which is great for long main events! The overall weight will be significantly reduced when compared to a typical NiMH transmitter pack and will provide an incredible amount of run time! How should the battery be inserted into the transmitter? A suitable foam should be used to pad the battery in the transmitter battery compartment to help hold the battery in place and prevent it from moving around. Place a piece similar in size to the battery into the transmitter battery housing under the battery, and then while pressing lightly on the battery, slide the cover over the battery. Great battery pack. Perfect fit. And the light weight of it makes the MT-44 even more balanced. After buying the MT 44 Transmitter and not being happy with the battery run time of the pack supplied I picked up this one. I am very happy with the pack and the run times between charges. Keep in mind this is a 1S cell pack and not all chargers will work with it. I wish I had another set of hands to give this battery 4 thumbs up! Nice to have my radio light, and with over double the capacity of the pack that Sanwa makes, I sometimes go 2 months without having to charge this pack, and I practice at least once a week (sometimes twice) and race once a week! Great job protek! I’m proud to represent a company that makes such fine quality products! Quality TX pack. switched from the old school dry alkaline batteries to this pack. keeps the lightweight feel of my mt44s but gives me days longer battery life. fits absolutely perfect in my mt44s.